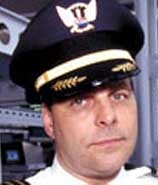 Just Before 10:06 a.m. September 11, 2001: Locals Hear a Missile Before Flight 93 Crashes? Several local people believe they hear a missile overhead just before Flight 93 goes down. Barry Lichty, a US Navy veteran and mayor of Indian Lake Borough (just to the east of where Flight 93 crashes), is watching television with his wife. He says he hears “a loud roar above the house that sounded like a missile.… Shortly thereafter, we heard an explosion and a tremor. My first reaction, as a former utility employee, was that maybe someone shot a missile into the substation.” He says Flight 93 “did not come over my house. I don’t know what we heard.” [Kashurba, 2002, pp. 158-159] Joe Wilt, who lives a quarter-mile from the crash site, hears a “whistling like a missile, then a loud boom.” He says, “The first thing I thought it was, was a missile.” [Boston Globe, 9/12/2001; Washington Post, 9/12/2001] And Ernie Stuhl, the mayor of Shanksville, later says, “I know of two people - I will not mention names - that heard a missile. They both live very close, within a couple of hundred yards.… This one fellow’s served in Vietnam and he says he’s heard them, and he heard one that day.” [Philadelphia Daily News, 11/18/2001] Officials will emphatically deny that Flight 93 was shot down, as some people later suggest (see September 14, 2001). [Pittsburgh Tribune-Review, 9/14/2001; Longman, 2002, pp. 264] However, a number of witnesses report seeing a small, white jet plane near the crash site, around the time Flight 93 reportedly goes down (see (Before and After 10:06 a.m.) September 11, 2001). 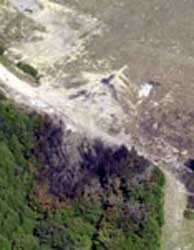 (Before 10:06 a.m.) September 11, 2001: Flight 93 Breaks Up Prior to Crash? 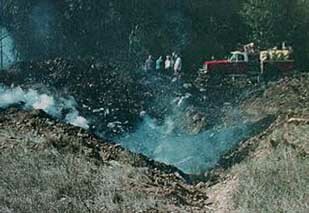 Flight 93 apparently starts to break up before it crashes, because debris is found very far away from the crash site. [Philadelphia Daily News, 11/15/2001] The plane is generally obliterated upon landing, except for one half-ton piece of engine found some distance away. 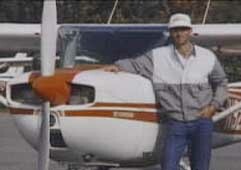 Some reports indicate that the engine piece was found over a mile away. [Independent, 8/13/2002] The FBI reportedly acknowledges that this piece was found “a considerable distance” from the crash site. [Philadelphia Daily News, 11/15/2001] Later, the FBI will cordon off a three-mile wide area around the crash, as well as another area six to eight miles from the initial crash site. [CNN, 9/13/2001] One story calls what happened to this engine “intriguing, because the heat-seeking, air-to-air Sidewinder missiles aboard an F-16 would likely target one of the Boeing 757’s two large engines.” [Philadelphia Daily News, 11/15/2001] Smaller debris fields are also found two, three, and eight miles away from the main crash site. [Independent, 8/13/2002; Mirror, 9/12/2002] Eight miles away, local media quote residents speaking of a second plane in the area and burning debris falling from the sky. [Reuters, 9/13/2001] Residents outside Shanksville reported “discovering clothing, books, papers, and what appeared to be human remains. Some residents said they collected bags-full of items to be turned over to investigators. Others reported what appeared to be crash debris floating in Indian Lake, nearly six miles from the immediate crash scene. Workers at Indian Lake Marina said that they saw a cloud of confetti-like debris descend on the lake and nearby farms minutes after hearing the explosion…” [Pittsburgh Post-Gazette, 9/13/2001] Moments after the crash, Carol Delasko initially thinks someone had blown up a boat on Indian Lake: “It just looked like confetti raining down all over the air above the lake.” [Pittsburgh Tribune-Review, 9/14/2001] Investigators say that far-off wreckage “probably was spread by the cloud created when the plane crashed and dispersed by a ten mph southeasterly wind.” [News Journal (Wilmington, DE), 9/16/2001] However, much of the wreckage is found sooner than that wind could have carried it, and not always southeast. 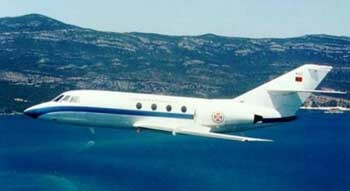 The FBI later claims this was a Fairchild Falcon 20 business jet, directed after the crash to fly from 37,000 feet to 5,000 feet and obtain the coordinates for the crash site to help rescuers (see 10:07 a.m. September 11, 2001). [Pittsburgh Channel, 9/15/2001; Pittsburgh Post-Gazette, 9/16/2001] The FBI also says there was a C-130 military cargo aircraft flying at 24,000 feet about 17 miles away (see 10:08 a.m. September 11, 2001), but that plane wasn’t armed and had no role in the crash. [Pittsburgh Channel, 9/15/2001; Pittsburgh Post-Gazette, 9/16/2001] Note that this is the same C-130 that flies very close to Flight 77 right as that planes crashes into the Pentagon (see 9.36 a.m. September 11, 2001). 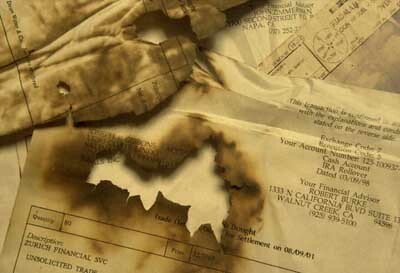 After 10:06 a.m. September 11, 2001: Emergency Dispatch Reports Second Suspicious Plane Heading Toward Johnstown Airport? 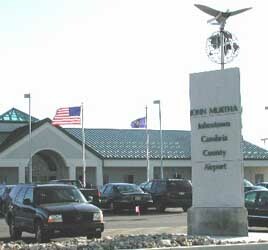 Soon after Flight 93 has crashed, Sherry Stalley, who is a reporter with a Johnstown, Pennsylvania, television station, is traveling in a car and hears a dispatch over the scanner (a type of radio receiver used by reporters), reporting that apparently another plane, possibly with a bomb onboard, is heading towards the Johnstown airport (located about 14 miles north of the Flight 93 crash site). According to Stalley, “The scanner was jammed with talk. Emergency crews and firefighters were being sent to the airport. Police were being dispatched to shut down roads. Every available unit within a thirty-mile radius was asked to help.” [Gilbert et al., 2002, pp. 111] The control tower at the Johnstown airport was evacuated at around 10 a.m., following reports of a suspect aircraft heading towards it (see (Between 9:40 and 10:00 a.m.) September 11, 2001). 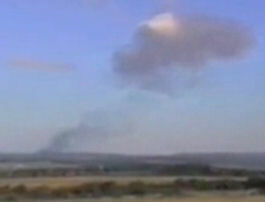 “Up above, a fighter jet streak[s] by,” just after Flight 93 crashes, according to ABC News. [ABC News, 9/15/2002] It isn’t clear what evidence this ABC News claim is based on. 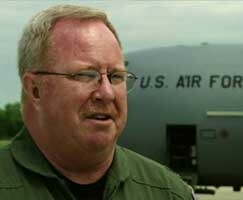 There are other accounts of a fighter or fighters in the area before the crash, mentioned previously. 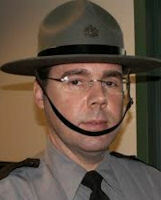 Patrick Madigan, the commander of the Somerset Barracks of the Pennsylvania State Police, arrives at the Flight 93 crash scene around 10:20 a.m. [Department of the Army and the Air Force National Guard Bureau, 2002 ] He says that at some point later in the day (he does not specify a time), a “strange incident” occurs: “We were there at the site and an airplane started circling. It was a jetliner circling the crash site very low. No one knew what to expect because we knew that all of the planes were supposedly grounded.” (The FAA had, at about 9:45 a.m., ordered that all aircraft be instructed to land at the nearest airport (see (9:45 a.m.) September 11, 2001).) After a few minutes of uncertainty, it is announced that the plane is carrying United Airlines executives, who are circling the site to view it before they land in nearby Johnstown. [Kashurba, 2002, pp. 63] Another low-flying jet plane was witnessed over the site earlier on, around the time Flight 93 went down (see (Before and After 10:06 a.m.) September 11, 2001). Susan Mcelwain, who lives two miles from the Flight 93 crash site, had seen a small jet plane flying very low overhead as she was driving home. She later recalls that it had been “heading right to the point where Flight 93 crashed and must have been there at the very moment it came down.” But it was only later in the afternoon, after returning home and turning on the TV, that she’d realized what she’d seen was connected to the attacks in New York and Washington. While she was confused that a Boeing 757—not a small jet plane—was being reported as having gone down near where she’d been, she’d then realized that the small plane was flying in a different direction to that being described for Flight 93. So she got her husband to tell the police about what she’d witnessed. Consequently, late in the evening, the FBI turns up to talk to her about it. Yet, as Mcelwain later recalls, “They did not want my story.” They keep asking her how big the plane she’d seen was. When she tells them it was small, not much bigger than her van, one of the agents tells her, “You don’t know what a 757 looks like.” She retorts, “Don’t be condescending towards me. If you don’t want to believe me, that’s fine, but I thought I should report what I saw. You ought to know there was something else in the air at the same time this was going on. We want to make sure it was ours and not somebody else’s.” After this, she will recall, the agent “did seem to get a little nicer. Told me that it was a white Learjet. Somebody was taking pictures. And I said, ‘Before the crash?’ and he says, ‘Well, we’ve got to go,’ and that was the end of it.” [Bergen Record, 9/14/2001; Mirror, 9/12/2002; Lappe and Marshall, 2004, pp. 38-40] Numerous other witnesses also saw a small jet plane flying above the crash site around the time Flight 93 reportedly went down (see (Before and After 10:06 a.m.) September 11, 2001).